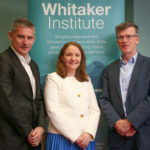 The Socio-Economic Marine Research Unit (SEMRU) of the Whitaker Institute, NUI Galway, invites you to attend the 9th Annual Marine Economics and Policy Research Symposium. The overall day will provide participants with an update on a wide range of policy topics related to the marine sector in Ireland. The theme of this year’s event is “The Marine Economy: Access and Infrastructure”. Speakers will include Captain Robert McCabe, Commissioners of Irish Lights, Dr Christina Kelly, Queen’s University Belfast, Dr Gianluca Grilli of the Economic and Social Research Institute, Dublin and Professor Ingrid Mateo Mantecon, Universidad de Cantabria, Santander, Spain, to name a few. For programme information and to register please click here.